Nature is beautiful and flowers are no exception! 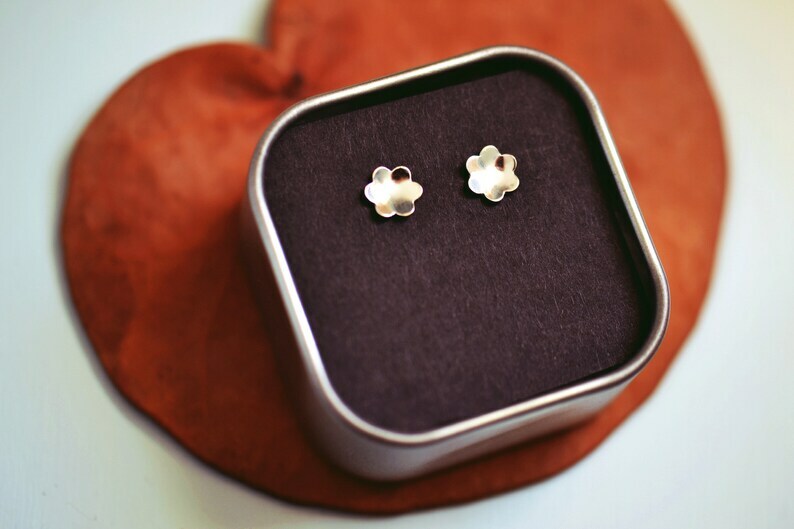 Made from beautiful sterling silver, these little silver flower studs are adorable! Slightly domed to resemble a real flower in bloom, they are lightweight, sweet and stylish- the perfect posts for everyday!! Hand-made with solid sterling silver as well as sterling silver posts, your flower earrings will come with sterling silver butterfly ear nuts. Size: Flowers are 1/4" and domed for a three-dimensional effect. Your beautiful flower post earrings will come wrapped in a lovely gift bag, along with a polishing cloth for easy cleaning. If you'd like more than one pair of these sweet little flower earrings, send a message and I can create a custom listing for you!